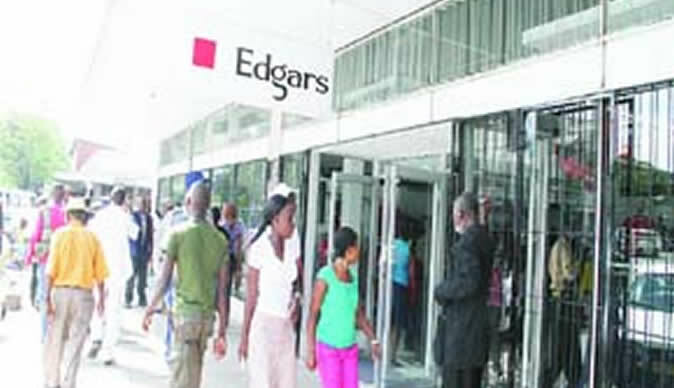 CLOTHING retail chain Edgars Stores says the rapid increase in unregulated commerce in the country is hurting its operations as it is made to compete with businesses that do not pay tax. Edgars - a local unit of South Africa's Edcon - is caught up in a vicious price war with the informal sector, which sources most of its used apparel from China, South Africa, Botswana and Tanzania. The group's managing director, Linda Masterson, said there was a need for Government to control importation of cheap used clothing into the country. "It [importation of second-hand clothing] is really a very big problem. Obviously, that comes back to corruption in our country that we have got these second-hand clothes that are on our streets," Masterson said. "It means businesses like ourselves that pay tax are being marginalised and pushed aside by the businesses that do not pay tax. Zimbabwe banned the importation of used clothes from September 1, 2015 but Industry and Commerce Minister, Dr Mike Bimha, said in January this year that the ban was unenforceable because the local industry had no capacity to meet demand. The flood of used clothes has compounded the woes of a local textile industry and squeezes the margins of retailers such as Edgars. To counter the threat, Masterson said Edgars is focusing more on giving customers value for money as well as quality. "Yes, there are the poor that have the right to be serviced by second-hand clothing but it has been done properly and in a legal manner," she said. She said the group's move to offer credit facilities to those in the informal sector has been well received by the market. "Our informal sector customers can apply for an account with us. They do have to undergo psychometric typed test which is done on a tablet and then provided they pass that, we give the informal sector accounts. Financial inclusion is something that is important to a country," she said. At the group's annual general meeting early this month, Masterson said that the group's profit-after-tax nearly trebled to $1 million in the year-to-date, from $35 000 last year and 200 percent above budget due to lower costs. She said the operating loss at $1.4 million was much improved from the $3 million loss last year, largely due to the positive impact of the cost cutting measures adopted in 2016. The group had 255 080 accounts as at end of April, with 63 percent of them being active compared to 69 percent last year.